A DAY after SPIN.ph broke the story about the resignation of head coach Chito Victolero, Mahindra management has named another little-known coach in Chris Gavina to the position. Team manager Eric Pineda bared that Gavina was chosen over other members of the Mahindra coaching pool owing to the experience and knowledge of the Enforcers’ run-and-gun type of play. Gavina, a former member of the GlobalPort coaching staff who went undrafted in the PBA rookie draft, bested other candidates like Alex Angeles, Marlon Martin and Romulo Orillosa. “He knows our system well saka magaling yan. 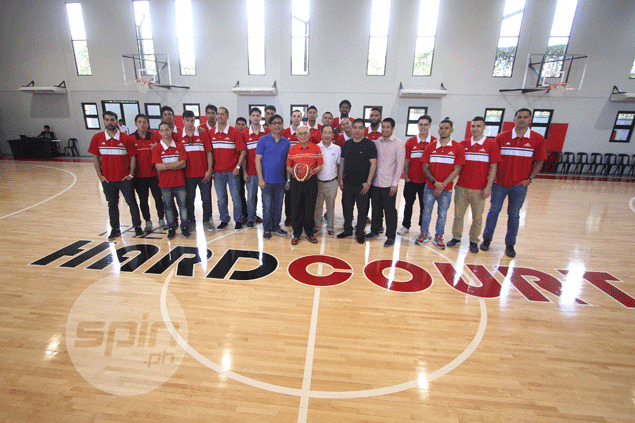 He’s been our conditioning coach since the team joined the PBA a couple of years ago,” said Pineda. The longtime Team Pacquiao member also revealed that 2004 top overall pick Rich Alvarez has already retired and will now be an apprentice in the coaching staff. “He will slowly be joining the assistant coaches. Hindi na siya lalaro, he has retired,” he said of the former Ateneo Blue Eagles star. Pineda likewise denied that another member of the coaching staff, Rob Wainwright, is on his way out. “No we’re keeping the roster (of coaches) intact,” he said. “He is a good soldier in fact,” Pineda added while trying to down play reports that Victolero had an argument with the management particularly with Mahindra consultant Joe Lipa. As for the position of Lipa, Pineda revealed that the former national coach would rather take a front office position in the team. “Ayaw naman niya eh. Saka nakikita naming mas effective si Coach Joe to guide and develop our young coaches,” Pineda said while taking pride in Mahindra’s ability to develop new coaches like Victolero and current NCAA champion mentor Aldin Ayo. Meanwhile, Pineda revealed that so far there is no finality yet on reported trade movements involving the Enforcers, primarily Karl Dehesa and LA Revilla. “Wala pa 'yun. Status quo pa rin kami,” he said.